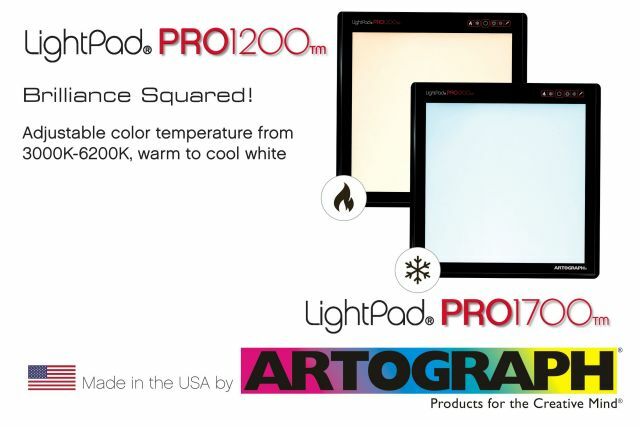 With variable brightness up to a blazing 11,000 lux, strong enough to shine through 300 lb. 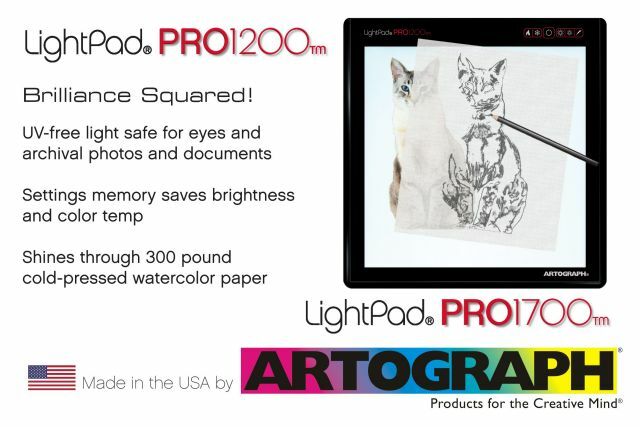 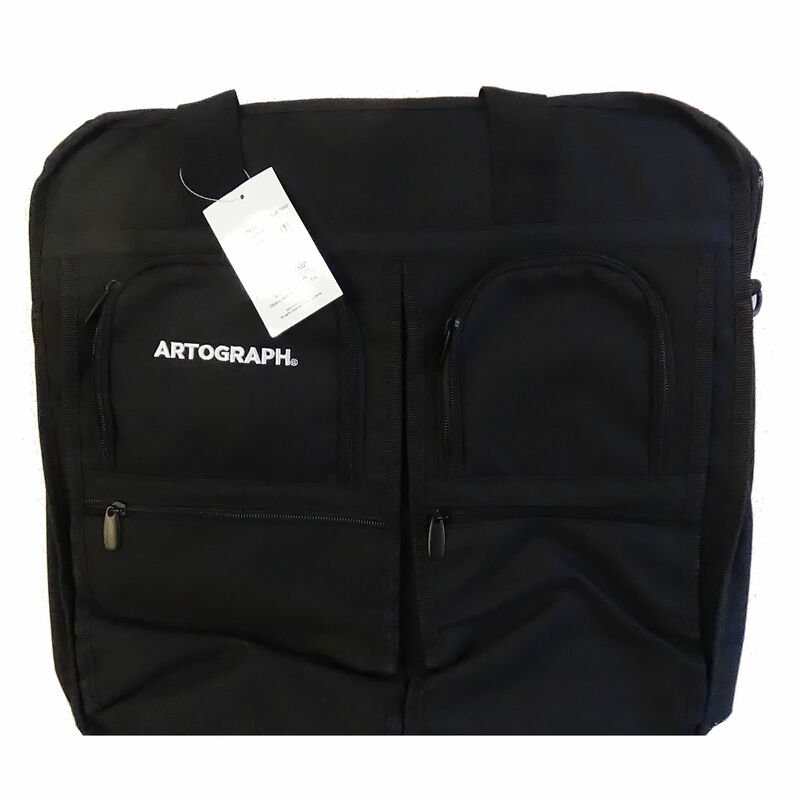 paper, and fabric, the LightPad® PRO adds a color temperature adjustment to bring projects into their natural color from a warm to cool white. 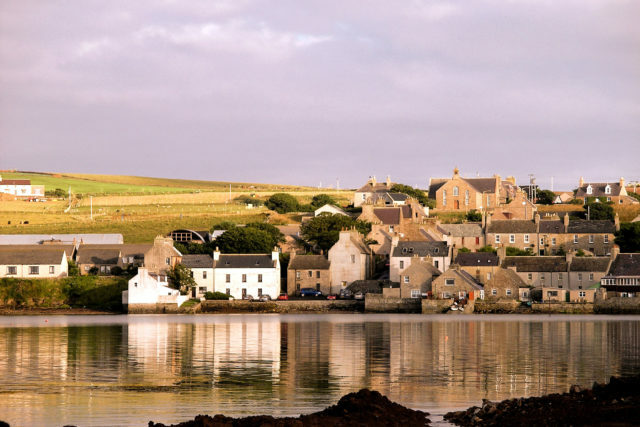 Changing color temp highlights different tonal qualities in your artwork. 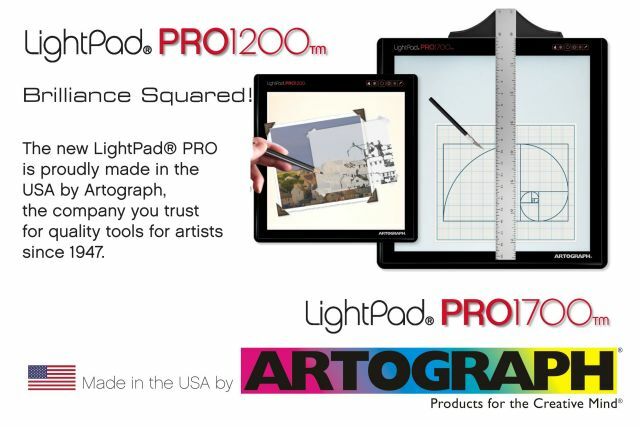 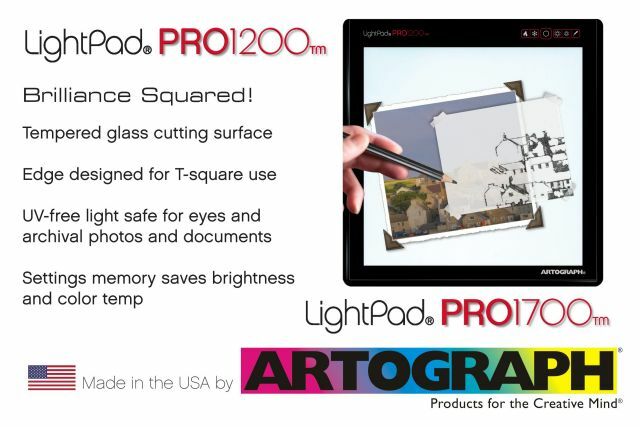 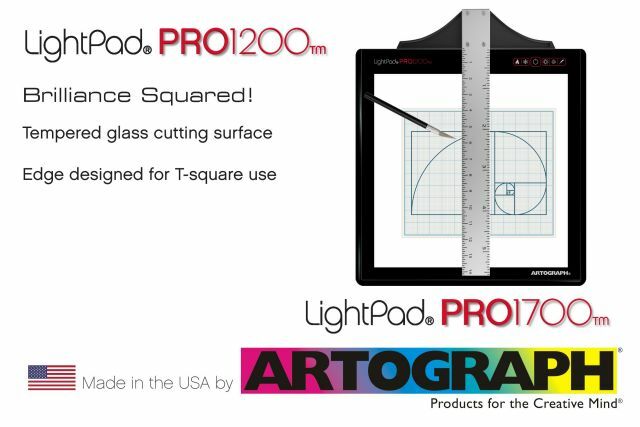 Designed for easy use with a T-square, the LightPad® PRO features a tempered glass cutting surface. See the benefits of ADJUSTABLE COLOR TEMPERATURE. 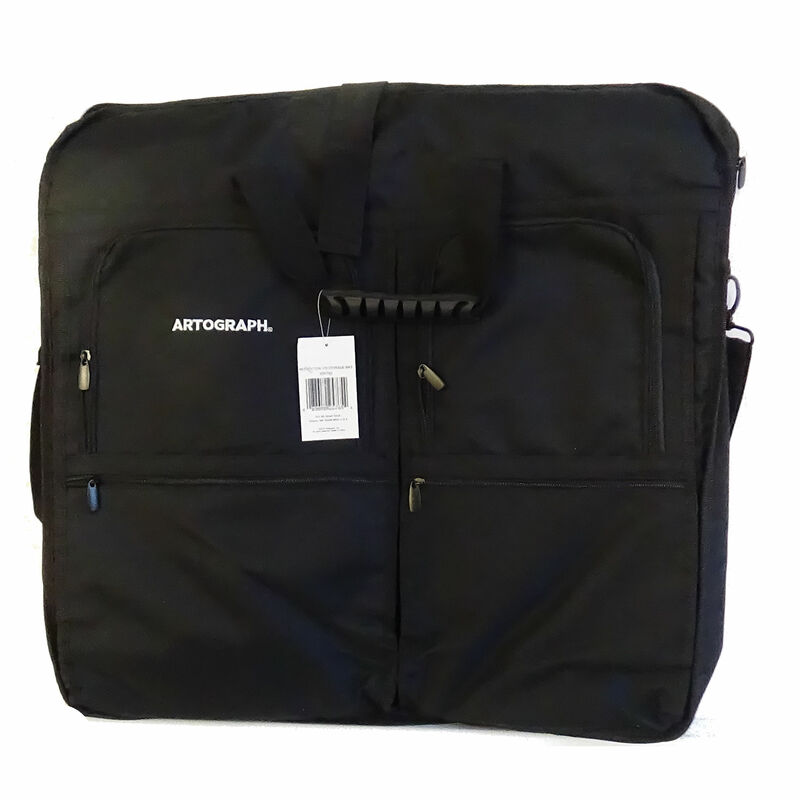 The LightPad® PRO has color temperature adjustable from 3000K-6200K, warm to cool white. Different aspects of your original image “pop” out for you as you adjust the light box color temp. Try it! 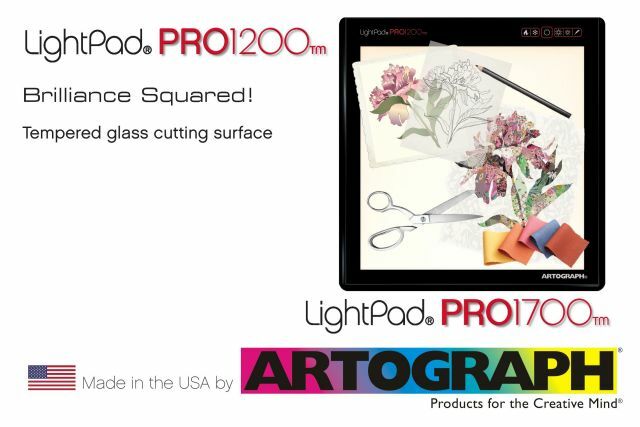 MAX brightness to a blazing 11,000 lux is bright enough to shine through even 300 pound cold pressed watercolor paper! Variable brightness from 500 lux to 5500 lux with color temp control. LightPad PRO with variable brightness from 500 to 5500 lux with color temp control – here show with warm color temp.